Before: Photograph showing large left lateral incisor (black arrow) and gum irritation on lower photo. 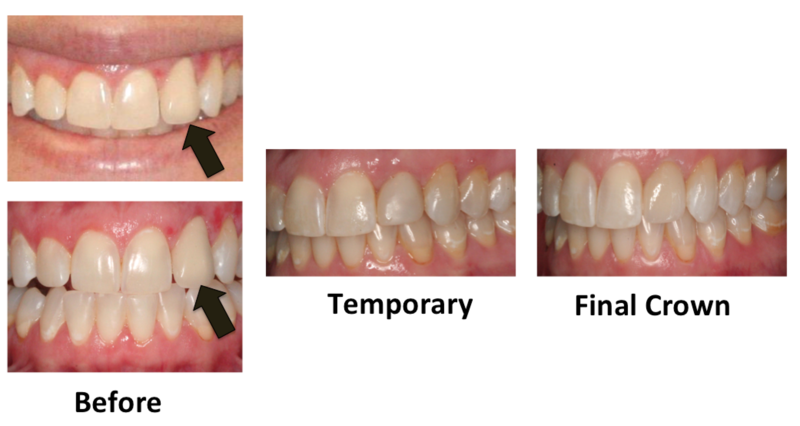 Temporary: Photograph shows replacement of large incisor with same day implant and provisional. Patient also show healing of irritated gums after implant placement. Final Crown: Photo shows final restoration with minimal gum irritation.